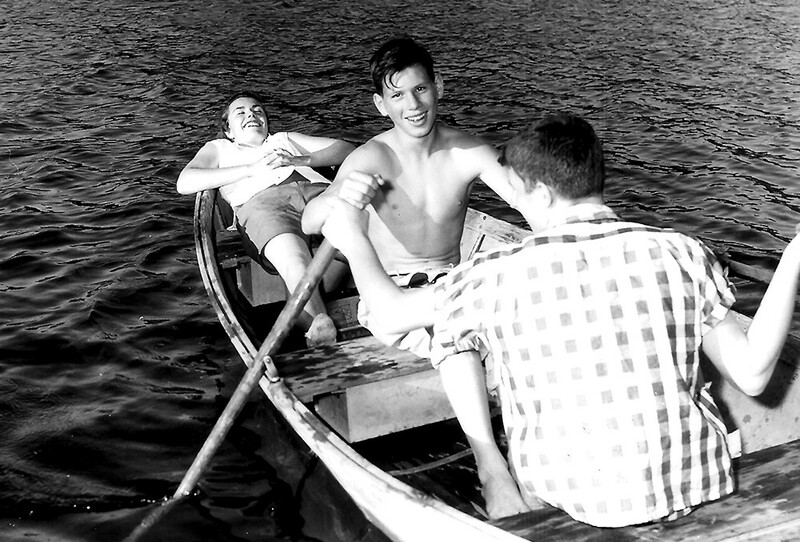 After a flurry of work, the first campers were able to enjoy Davis Lake in August of 1957. It didn't look like much, that decrepit old fishing camp on a remote lake outside Newport. But to the Presbyterian contingent out looking for a summer camp to help build their ministry, it would do. So they put down $22,500 and bought the 230 acres on the south end of Davis Lake that they still call home; just a year after that, in 1957 — 60 years ago this month — they welcomed their first batch of campers to Camp Spalding. Andrew Sonneland has been a part of Camp Spalding for 45 of those years — as a camper, a counselor and since 1990, camp director. During a break from a busy camp week recently, Sonneland says one thing has been a constant on the shores of Davis Lake: "To provide a week that's a total blast, and a setting to clearly hear, consider and respond to Jesus' invitation to 'Come, follow me' to a life of purpose and hope." In 1956, those Presbyterians noticed that kids wanted to go to camp — Camp Reed had already been going for more than 40 years, in fact. The summer camp experience was getting more and more expensive for their congregations' families. So the team of Paul Hammond, Albert Arend, Rev. George Hendricks and Rev. Ray Blackstone started poking around sites on the shores of Lake Coeur d'Alene, Lake Pend Oreille and the Spokane River; a spot on Lake Roosevelt was deemed too far from Spokane. They were kind of stuck — they couldn't even decide on the camp name; an early proposal of "Camp Bethuel" was met with decidedly mixed reviews. 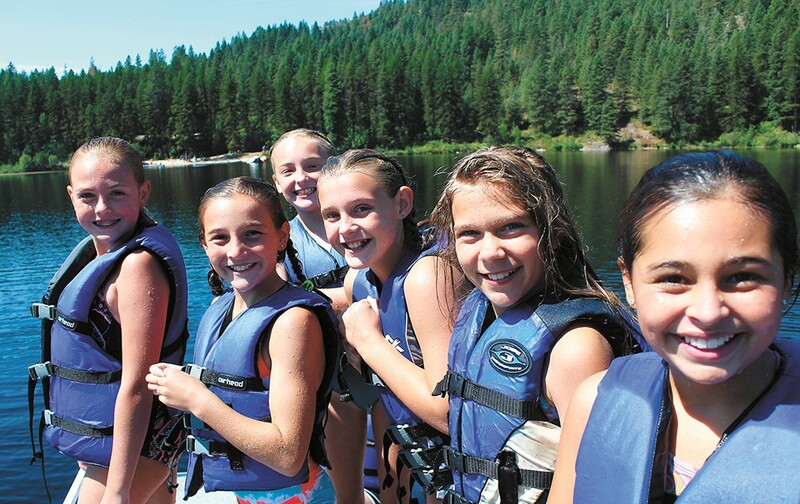 Some of the more than 1,600 campers — nearly a record — enjoy the same waters this summer. All that changed when Rev. Blackstone heard about that little fishing camp up on Davis Lake. Next, they had to build new facilities — campers were already signing up. They raised $35,000 to build a dining hall and buy materials for the cabins; the camp was built in the early summer months of 1957, mostly by volunteers. Finally, there was a contest to determine the name of the camp, after the "Camp Bethuel" debacle. They decided upon Camp Spalding, honoring Henry and Eliza Spalding, who traveled west in 1836 on the very first wagon train over the Oregon Trail with Marcus and Narcissa Whitman. The Spaldings settled in as Presbyterian missionaries among the Nez Perce Tribe. Over the years to come, many people contributed to the development of Camp Spalding, says Sonneland. Art Cosgrove, the first full-time camp director, saved the camp from financial ruin in the 1970s by professionalizing the operation. For example, they started paying college students instead of relying entirely on volunteers. As Sonneland puts it: "You really need people whose job it is to give the camp full-time attention." Sonneland also mentions Dave Lee, the architect of the modern camp. Lee, who lives in Boulder, Colorado, and specializes in camp designs, unified the camp, with an emphasis on keeping nature as the focal point. "Andy and his board of directors have maintained their vision for designing and building the right thing — and not settling for less," says Lee. "Our goal became to design buildings whose character creates a strong sense of place and contrasts the guests' everyday environments ... places," Lee concludes, "that nurture the soul." "Kids Belong Here." That's the motto at Camp Spalding this summer — and it's been that way for 60 years. All kids grow up; many of them, like Sonneland, stay involved, making the transition from camper to counselor, as did Katie Mann. "Knowing how I looked up to my own counselors growing up," says Mann, a counselor for the past three years, "I'm incredibly humbled to be in that position for campers now." 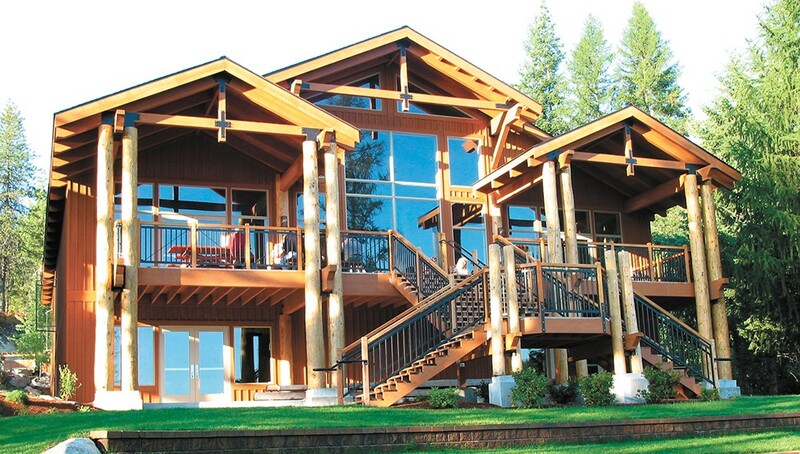 Nestled on the forested lake shore, the Clearwater Lodge hosts meals and gatherings all year round. The continual passing of the torch to the next in line has become one of the key traditions at Camp Spalding. Sonneland stresses that the camp will always be a work in progress — always aiming to improve. His biggest goal for the future is to "hold on to our core mission while staying relevant in a rapidly changing culture." Mann says the most rewarding part of her job is working with kids all summer long, seeing the changes that can only come from a week away from the distractions of everyday life.